The new Illinois State magazine is now available. It’s once again time to look for the latest alumni magazine, which will be in your mailbox soon. If you aren’t getting the magazine delivered, sign up now to receive future issues. The May issue of Illinois State is also available at IllinoisState.edu/Magazine, or you can download the full PDF and toss it on your tablet. Regardless of how you choose to read it, you’re going to love what’s inside the latest issue, including a chance to win a prize package from Avanti’s. The cover story for May is a look at the presidency of Al Bowman as he leaves office. Bowman announced in December his plans to retire, ending nearly a decade at the University’s helm. The story of his rise from the faculty position he accepted 35 years ago to the role of president is shared, as well as the sacrifices made by First Lady Linda Bowman. Find out why Bowman was once considered the “reluctant administrator,” and how students staged a surprise rally on the Quad to show the campus community’s appreciation for the beloved couple. You can send your own personal message to the president. Just go to Alumni.IllinoisState.edu/Bowman. Taste buds have been satisfied and friendships solidified at Avanti’s for decades. The Gondola sandwich and loaves of bread have made dining on a student budget a pleasant experience for 40 years. The eatery is as much a part of ISU life today as when brothers Guido and Albert Zeller opened the doors in 1971. Their story is shared, along with a look at how the restaurant has impacted its ISU student employees. 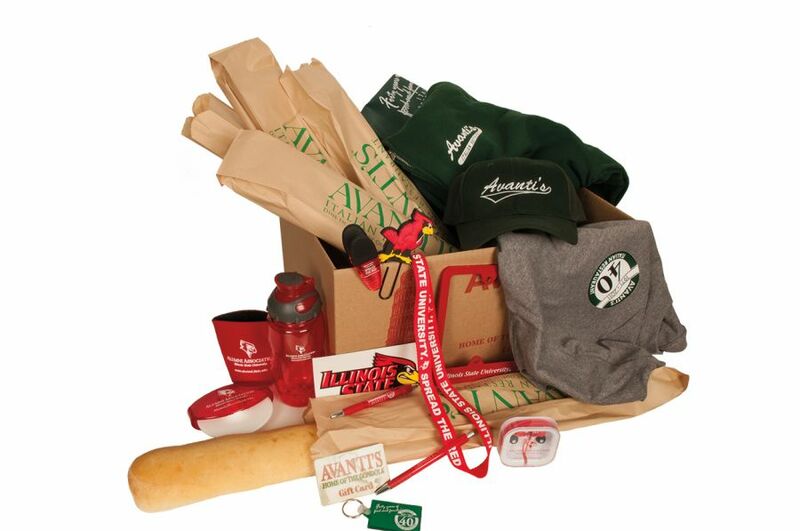 And as a special treat for readers who aren’t close enough to buy the bread, Avanti’s is offering a package that includes five loaves along with a restaurant gift card and clothing. We’ve thrown in some Redbird goodies as well! We talk about it all the time: Illinois State is a place where students are more than just a number, and the campus offers the opportunities of a big university with the feel of a small school. Kyle Waznis knows these sentiments are more than an empty marketing mantra. The compassion shown to his family provides plenty of proof. Learn about how Illinois State staff and faculty members came together to give Kyle a precious memory with his dying father. You’ve never heard of such a meaningful graduation gift as the one made possible for Kyle, all because ISU truly is a caring campus. 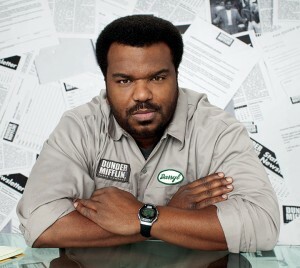 Dunder Mifflin fans sad to see the hit series The Office end undoubtedly know the saga of characters who made up the staff of the fictional paper company. But did you know that one employee on the payroll got his comedic start at Illinois State? Alum Craig Robinson played Darryl, a role he captured because his campus friends persuaded him to try stand-up comedy when he was still an undergrad. The music major was a hit and found his passion. Read about his journey from the improv stage to the popular series, as well as the good news that fans will continue to see Robinson at the movies. So often it’s a place on campus that sparks a special memory for graduates. The Bone Student Center/Braden Auditorium (BSC/BA) is one of those buildings that inevitably brings back moments shared with ISU friends. The facility is marking its 40th anniversary, as it opened in 1973. The Bone Student Center remains a vital part of campus. The key to its success has been “the outstanding work of the many student employees, who significantly outnumbered full-time staff,” said retired BSC/BA Director Christ Schwelle. All former student employees are being sought for anniversary events. To receive notification of upcoming activities, update your contact information on the Alumni Association website or join the Friends of the Bone Student Center Facebook group. Susan Marquardt Blystone can be reached at sjblyst@ilstu.edu.